7 years ago we dug a well, erected a water tank, and installed a solar-powered pump and plumbing so the Clinic at Sintet Village would have water. Recently, the pump broke down and the old solar panels they had inherited from a previous donor just weren't doing the job. 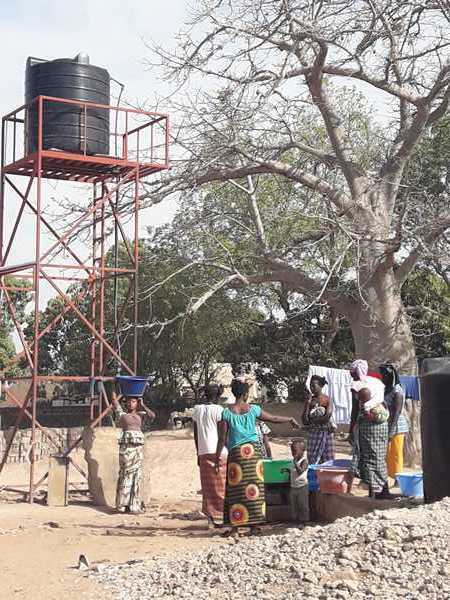 With funding from Water Charity and partnership with GambiaRising, we provided a new pump, piping, and solar panels. ​Sintet Clinic now has water again! At KAIAF Village Clinic their pump had quit working and the water tank leaked and was useless. There were no toilet or washing facilities in the labor room and plumbing had deteriorated throughout the clinic. 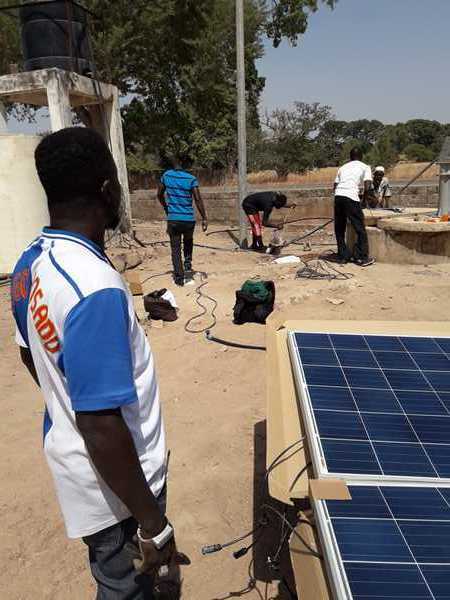 Again, with funding from Water Charity and help from GambiaRising, WAME replaced the tank, installed a new solar panel and solar-powered pump. The old plumbing was replaced and a new toilet and wash basin were installed. Lots of work, but now the clinic has water for washing and drinking!! 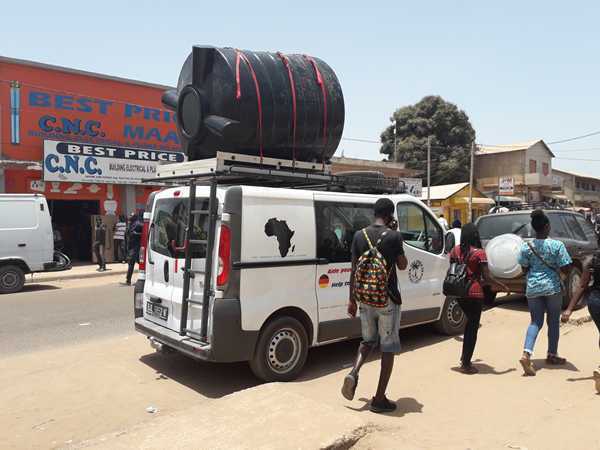 The new tank loaded on the van generously loaned to us by Mec-Sac, Gambia, a fine charity. 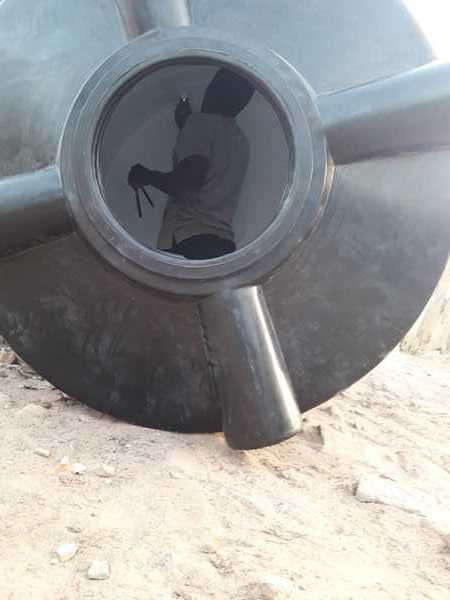 Our plumber, Pa Boy Jatta, installing fittings inside the new tank. As soon as the connection was made, village women came to draw water, saving themselves a several-hundred meter trek!